WIsconsin has a rich diversity of bird species, with more than 400 species recorded in the state. There are many ways to learn more about the birds that occur here. WSO has compiled many of these resources on this page, including field trip opportunities, publications, and links to other bird-related organizations. WSO initiated the first Wisconsin Breeding Bird Atlas in 1995. The Atlas provides informative accounts and distribution maps for all of the breeding birds in our state. WSO is currently working with partners to coordinate the second atlas effort. WSO and the Wisconsin Bird Conservation Initiative developed Bird Monitoring Kits to allow educators and students to study birds and their habitats and thereby gain a greater appreciation of the natural world. Bird Monitoring Kits contain the tools to help introduce students to the local bird community, build their skills in bird identification, and help them gain knowledge of bird natural history. 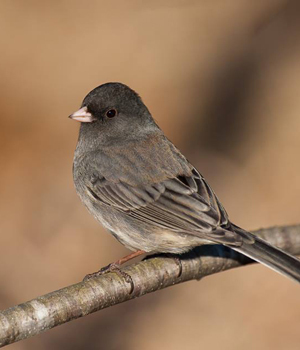 This is the official checklist of Wisconsin birds and contains all of the birds that have been documented and verified by the WSO Records Committee. The Passenger Pigeon, WSO's flagship publication, is a quarterly journal featuring a wide range of articles on Wisconsin birds, seasonal field sightings, and scientific research reports. It also includes reports from birders throughout the state on unusual and interesting sightings, and articles on all aspects of birding. Become a member to receive your copy! A must-read book for all Wisconsin birders! Written by Samuel D. Robbins, it is designed to enrich birders' understanding and appreciation of the historical distribution, abundance, and habitat preference of every bird species reliably recorded in the state.